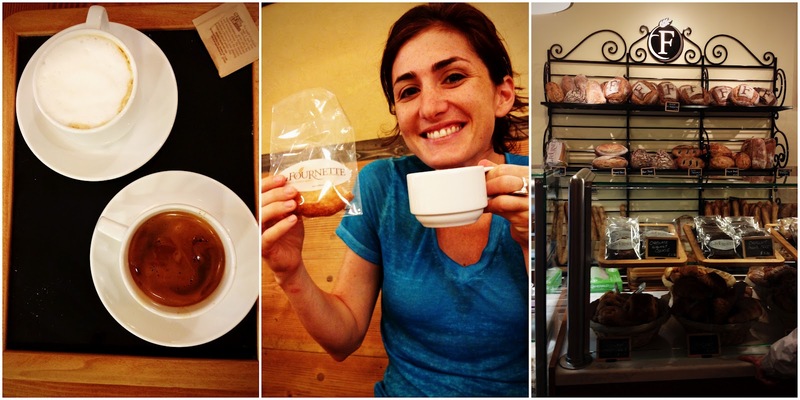 Just like the first part of this Chicago post, Kasey and I picked up right where we left off. Sometimes we can go weeks (or even months) without talking, but we always seem to be able to flow seamlessly into our conversations which inevitably include stories about food, traveling and life's funny moments. After our afternoon at Big Star, it was time to get ready for our big dinner out. When arranging the few plans we made for my trip, Kasey asked if I was up for trying something a little different. 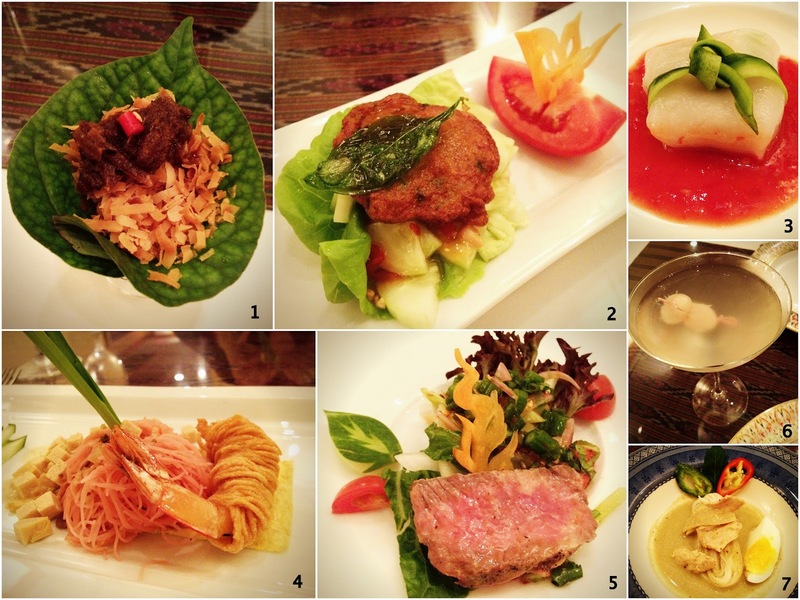 I'm always game for most anything, so a 12-course Thai tasting menu sounded right up our alley. Sure, there were several places she could've picked that she knows are slam dunks, but I was excited to try something she hadn't experienced either. That is how we ended up at Arun's for dinner on Saturday night. Arun's is a true chef's tasting menu in that there are no menus. It's a prix fixe, 12-course meal specially designed by the chef. He will cater to individual needs, preferences and food allergies. Kasey doesn't eat gluten and I (almost embarrassingly) volunteered the fact that I hate bell peppers. Not a bell pepper in sight, and all of Kasey's plates were absent of gluten. The first course (1.) was a one bite salad of Betelnut leaf, toasted coconut, shallot, tamarind paste, peanuts, ginger, lime and Thai chili pepper. It was without a doubt our favorite "bite" of the night. We eagerly awaited the remaining eleven courses, hoping that they would be on par or possibly exceed this first bite. While everything was gorgeous and mostly really tasty, I can't say that we were doing backflips over our meal as a whole. For $85, I expected to be completely blown away like I was at Gary Danko. Sure, there was a lot of food, so in that sense, you get your money's worth. But we didn't feel like there was a solid synergy between the courses, and some of them just didn't make sense. (2.) Fish cake of Pike with curry paste and and cucumber salad. Sort of like a Thai lettuce cup. Thumbs up. (3.) Steamed rice dumpling filled with chicken, shrimp, jicama and served with a sweet tomato vinaigrette. This was served cold. It was OK, but something was just off with the flavors. (4.) Deconstructed shrimp vermicelli with tofu, noodle-wrapped fried shrimp, egg and noodles dyed with beet juice. Beautiful presentation, and together I actually really liked this dish. It sort of reminded me of a deconstructed pad thai, except without the peanuts. (5.) Red & green Oak leave salad with shallots, tomato, chili sauce and New York strip steak. Aside from the Betelnut leaf, this was probably my second favorite of the appetizers. Love the decorative knife work on the garnishes too! (6.) Lychee Martini...strong and sweet, as you might expect. (7.) This was so forgettable that I forgot to take notes when it came out. It was a chicken curry with bamboo shoots and a soft boiled egg. Nothing about this dish made sense. Then came the entrees. We were in love with two in particular, both of them seafood. (8.) First was a snapper. This wasn't actually on the menu originally for that night, but the chef made it it especially for us because of my bell pepper aversion. I'm so happy I hate bell peppers, because this was delicious. It was prepared with some sort of chile paste and we loved it. (9.) This was a beef coconut curry served with kubota squash. I really liked the *sauce. * I think the beef was a little tough, despite being marinated for several hours. (10.) This was the star of the entrees for us. Perfectly cooked and seasoned *gigantic* scallops. They were topped with what we could only describe as a Thai hollandaise sauce. We had our server ask the chef what was in the sauce, and we were told it was a lobster sauce with mashed up potato, squash, Chinese celery, egg and butter. 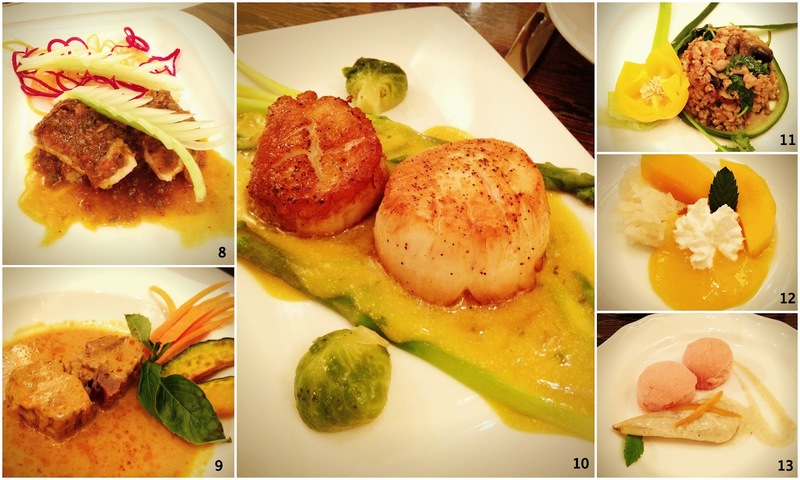 It was very smooth and extremely flavorful and it went perfectly with the scallops. (11.) This was minced chicken with Thai basil. We didn't really care for this one. For dessert, (12.) a sweet Thai sticky rice with mango and mango purée and (13.) a lychee sorbet with ginger baked pear and topped with candied orange peel. Both were light and refreshing, but we didn't manage more than a few bites thanks to our food babies residing in our stomachs. Overall, it was a great meal and a fun experience. Had I just had the two appetizers and two entrees and paid for them a la carte, I would've been extremely satisfied with the meal. One other weird thing...it was kind of bright in there (though nice for photos) and service was slightly awkward. Still, I think this would be perfect for a big group or family gathering as they seemed to have some separate rooms/areas. 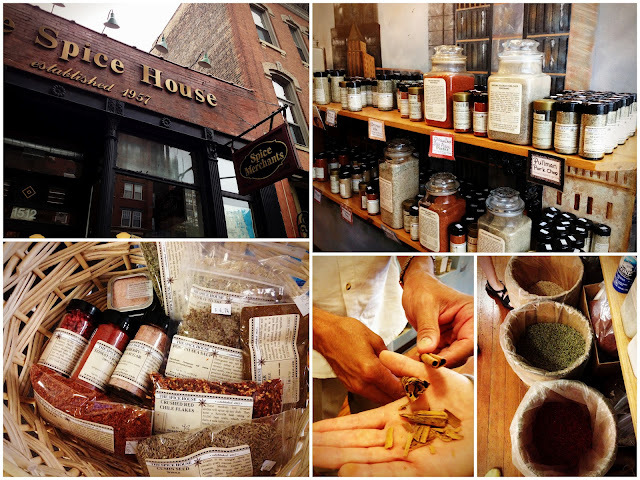 As we were making our way towards the airport on Sunday, we made a very necessary detour to The Spice House. I seriously could've spent all day here. They import some of the highest quality spices from around the world....and guess what else?!? You can order from them online, which I will be doing almost exclusively from here on out. The owner, Tom, stopped to talk with us for a little bit, giving us a quick lesson on different types of cinnamon and even sent me home with a huge piece of cinnamon bark. That's my basket in the bottom left corner. I ended up dropping about $50 on things like pink Himalayan sea salt, tomato *powder* (great, intense tomato taste in place of paste), pink peppercorns, maple salt, strawberry vanilla sugar (yes, it's amazing), cumin seeds, Spanish paprika, red pepper flakes, herbs de provence, za'atar, and probably a few other things I'm forgetting at the moment. So excited to bust some of these out...I'll definitely be posting some recipes on the blog using some of them in the coming weeks/months. We finished off the weekend with some coffee from nearby La Fournette, an authentic French bakery that just opened up across from The Spice House. Kasey informed me that Chicago is seriously lacking in the bakery department, and was understandably excited about this, despite her gluten-free diet. (However, they do offer a *few* gluten-free goodies, which Kasey was pumped about). The owners are straight from France and extremely friendly. As we said our goodbyes, I was sad to leave, but looking forward to our next adventures....either in San Francisco, Chicago or traveling the world! Thanks Kasey and Chicago for being such great hosts! I wish I had been able to see your post before going to Chicago last September. We did eat at Alinea, however, which was amazing.